Piovaticci is a historical Italian brand of motorcycles. The furniture manufacturer Egidio Piovaticci from Pesaro got together initially with local racer Eugenio Lazzarini. 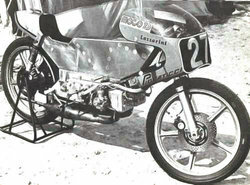 The first Piovaticci machine was actually a "renamed" Maico 125 cc. 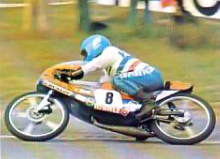 There was also a 250 cc-version but both machines had little success. 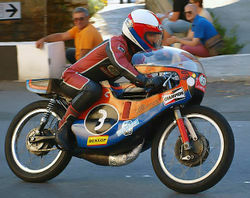 In 1974, Jan Thiel and Martin Mijwaart (of Jamathi) were hired to develop a completely new 50cc and 125cc machines. This was extremely successful. At the end of 1975, Piovaticci became too expensive for race-activities and no longer sold well and thus came to an end. Thiel and Mijwaart went to set Bultaco to further their career.